Teleprompter ( called also hunchback or electronic suggestion) is a system which allows you to read the text without taking off your eyes from your public, giving to you a natural manner and allowing you to show an increasing self-confidence on stage. Notelseit Srls, in collaboration with Immediacom ( www.immediacom.it) offers to you an electronic hiring system rental service with highly specialised operators. We have the availability of presidential models, stage models, camera models and tablet models ( Ipad) with remote control and pedals for scrolling text. 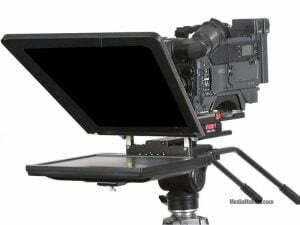 Teleprompters can be used for television and cinema productions, television news, concerts, theatre shows, conferences, homilies, discurses in general.